Princess Anna loves Christmas, winter holidays and everything associated with winter. So it is with great pleasure decided to throw a party for all her friends. She found a great place to install a beautiful green Christmas tree. She has bright toys and gifts, which she will decorate the Christmas tree. Look how beautiful Anna has decorated the Christmas tree. It is very beautiful and evokes a lot of pleasant emotions. Now she needs to clean up anything that was left lying on the floor after preparing for the holiday. Let's help the girl to do the cleaning near the tree. How to play: in the game you have to help Anna make Christmas cleaning near the tree. 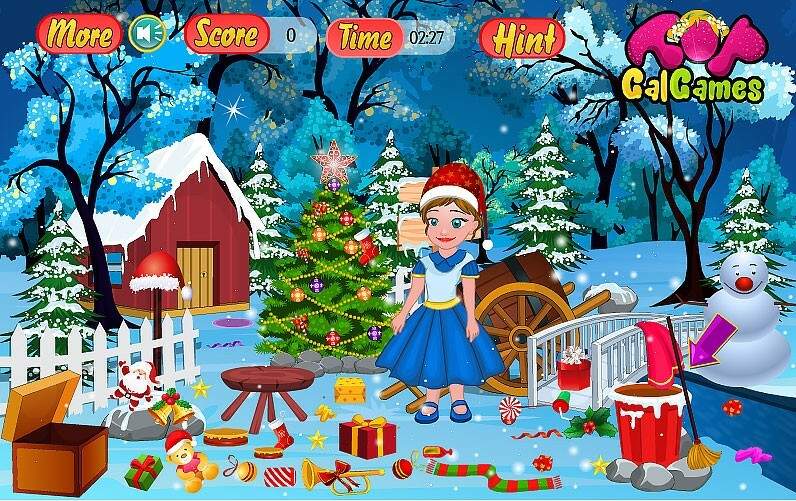 Use the broom to sort the presents in different boxes. You have the opportunity to learn how to look like a meadow after harvest. To do this, click "Hint" to see hint and understand what you need to do. Played: 28494. Added: 31-12-2015, 12:20.